Are you living alone together? Couples Counselling, relationship therapy and marriage counselling, provides a safe and comfortable space for couples or individuals to discuss and find solutions to their relationship issues. Relationships are an essential part of a healthy life with so many rewards from those close relationships. But with the pressures and demands of everyday life relationships can be difficult to maintain. All relationships face challenges and conflicts at times, how you deal with these challenges determines how well you can experience and enjoy your close personal relationships..
As a highly qualified and experienced professional, Helen conducts her consultations with the utmost respect for your privacy and confidentiality, all consultations are carried out in Helen’s private and peaceful consultation room in Sevenoaks, Kent serving Sevenoaks, Tunbridge Wells, Bromley, Orpington, Maidstone and Kent. To make an appointment to see Helen Mia Harris please call 01732 617344 or send an email. Helen’s wide and varied background in psychotherapy, counselling and life coaching for over 24 years has provided her with the expert knowledge, sensitivity and warmth to coach and mentor individuals, couples, relationships, and professionals, including developing clients self worth, self esteem and direction. Understand why your relationship is in trouble and how to get it back on track. Helen offers a successful approach to building loving relationships through her relationship counselling and therapy sessions, personalised programme breakthrough sessions and Online “Love Addiction and Heartbreak Recovery Programme”. Helen offers a range of sessions from 30, 60, 90, and 110 mins each and is happy to discuss your specific needs when you contact her. 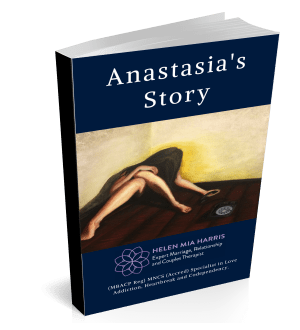 With a profound understanding about love and loss, Helen Mia Harris is passionate about her work as a therapist, coach and counsellor, helping couples and individuals with issues in love relationships. 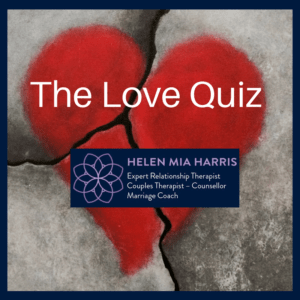 Helen believes that the way we love and how we love is often at the heart of a troubled relationship, heartache and heartbreak, and uses a range of skills including Hypnotherapy, NLP, Counselling, CBT, Psychoanalysis, and Therapy to assist clients, both couples and singles to resolve their problems. All consultations take place in a calm, serene location in Sevenoaks, Kent. 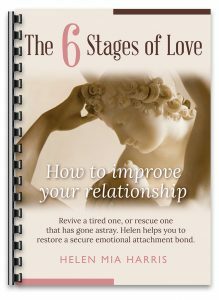 As a relationship counsellor Helen Mia Harris helps you make positive life changes with a range of unique relationship breakthrough Sessions. This fresh new approach to counselling, life coaching, therapy and psychotherapy is vital for transformation when facing life’s difficulties such as marriage problems, divorce, and a painful breakup. Skilled and qualified in various therapeutic styles, Helen helps resolve your relationship issues around low self esteem, worry, anxiety, depression, motivation & inspiration, releasing the negative emotions that can hold you back in relationships and life. Helen’s office is situated in Sevenoaks, Kent. There are excellent air, road and rail transport links. Gatwick, Heathrow, London City, London Stansted and Southend airport can all be accessed in under 1 hour. The M25 motorway is a 10 minute drive and direct trains from London to Sevenoaks take 33 minutes. 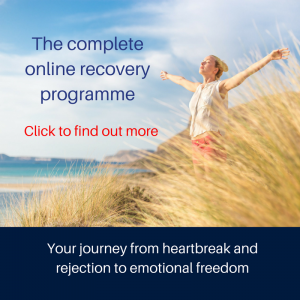 If you are experiencing the heartbreak of rejection and abandonment following lost love, you may benefit from taking our online Love Addiction and Heartbreak Recovery Programme, to learn more, click here. For more information on what to do if you are considering separation or divorce, click here. Dear Helen, just a note to thank you so much for your support and guidance on Friday. It made an immediate change in my wife and I am hopeful that we can rebuild our relationship with your continued support. Thanks again!! I am truly grateful!! Following a few very upsetting events in my relationship, I insisted on seeking professional help but my partner, whilst agreeing to it (under duress) was very sceptical. I knew I had to find someone intelligent, articulate and completely switched in to people’s perception and behavioural triggers. I was feeling deeply betrayed and needed more than anything to understand why certain things had happened. Over a short period of time, Helen not only transformed our relationship virtually immediately (and that is not an exaggeration), she also taught us how to sustain what we had learned. Now, months down the line, we are stronger than ever and it feels everything has come together. She has helped to completely change our lives in many ways. Helen is a very clever, caring and compassionate woman with an extremely professional approach which is a rare combination and I will keep learning from her advice and books for years to come. … I mean it and more. Thank you Helen.